MONROVIA – Senegal, a country running out of fish in its waters, has signed a five-year agreement with the Government of Liberia to exploit Liberian territorial waters and in return provide training and support to local fisherman and the fishing industry. The deal was signed in Dakar, Senegal on January 22, 2019. Ms. Emma Metieh Glassco, Director General of the Fisheries and Aquaculture Authority signed on behalf of Liberia while Senegal’s Minister of Fisheries Mr. Oumar Guèye signed for his country. “Liberia and Senegal signed a deal. 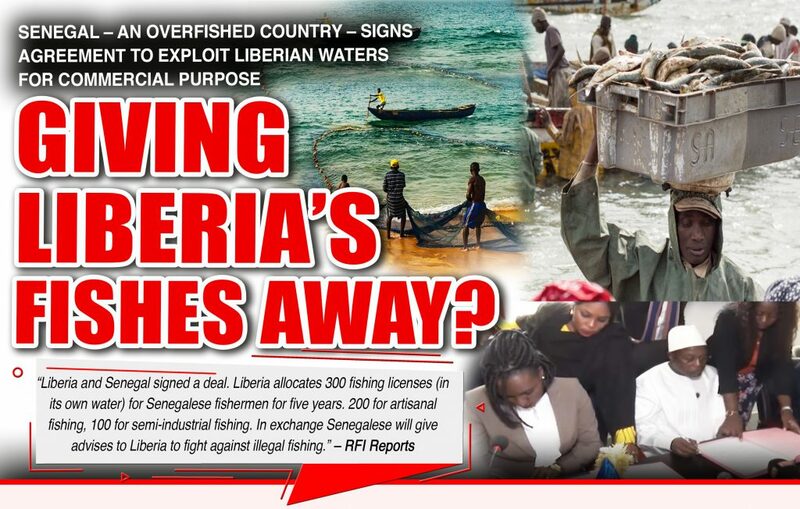 Liberia allocates 300 fishing licenses (in its own water) for Senegalese fishermen for five years. 200 for artisanal fishing, 100 for semi-industrial fishing. In exchange Senegalese will give advises to Liberia to fight against illegal fishing,” Radio France International reported. According to the Deputy Managing Director of the National Fisheries and Aquaculture Authority, Mr. Augustine M. Manoballah said the Agreement with the Senegalese has not been finalized. 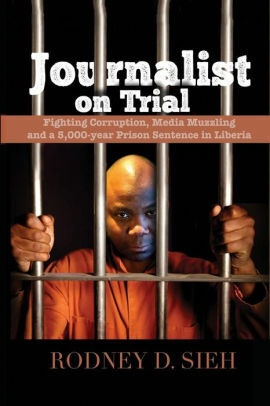 He posted to his Facebook platform: While it is true the Director General of the National fisheries and Aquaculture Authority of Liberia and her counterpart from Senegal have signed the Agreement, the Agreement has to be attested to by the Ministry of Finance and Development Planning and the Ministry of Justice, which is yet to be done. Secondly, signing of the Agreement doesn’t automatically transfer licenses to fishing vessels covered under this Agreement. Fishing vessels owners will have to file their applications in line with domestic and international requirements. The Agreement is intended to strengthen relations in fisheries and aquaculture between the two countries. The Agreement has a 5-year term with the possibility of renewal. Some of the key areas of cooperation covered in the Agreement are as follow: Exploitation and marketing of living marine resources; Valuation and marketing of fisheries and aquaculture products; Fisheries research; Conservation of the marine and coastal environment; Training and capacity building of human resources; Fishing communities empowerment and development, etc. He explained that the Agreement will ensure that all Artisanal fishing boats coming from Senegal to fish in Liberian waters will not exceed 100 per year and government will get the needed revenues for the exploitation of the country’s fish resources. For the Semi-Industrial fishing boats, which are largely operated by foreign fishermen, the Agreement provides that each boat will be charge a flat rate of US$1,500.00 per year. Boats of this categories are restricted to fish from the 4 Nautical Miles zone and above of our territorial seas. As a bargain, Semi-Industrial boats under this Agreement are not forced to land their fish catch in Liberia. This doesn’t mean they cannot land here. If the facilities are available to allow them to land in Liberia they will be glad to do so. The good news is that the fisheries authority is working with international partners such as Japan, Iceland and the World Bank to ensure we have a functional port that will accommodate those boats and as well allow them process their catches for sale. This will also create jobs as Liberians will be needed to work on those facilities. For the industrial vessels, when our fishing ports become operational, they are required to land 40% of their annual catch in Liberia. The 40% will be for supply to our local market. During their application for fishing license, Industrial vessels submit fishing plans in line with our sustainable management program. The fishing plan tells us how much fish you will catch per year and what species of fish will be caught. We also set a limit on the amount of fish a fishing vessel can catch a year and species that are prohibited. In line with the 2010 Fisheries Regulations, industrial fishing vessels are charged 10% on their total annual catch including other administrative fees. Contrary to Costa’s assertion that the country stands to benefit nothing from this Agreement, revenues will be generated and jobs will be created. Under this Agreement, any industrial fishing vessel of 300 GRT or less applying for fishing license will be required to take 3 Liberian seamen for employment. Vessels of 301 GRT and above will be required to take 4 Liberian Seamen for employment. Senegal is a dramatic example of a trend playing out across the world, in which 90 percent of fisheries are fully fished or facing collapse, according to the Food and Agriculture Organization of the United Nations. The crisis has been exacerbated by European and Asian fleets prowling the seas off West Africa. The crisis is now forcing West African countries along the Atlantic coast to fight one another over the fish that remain. Decades of overfishing have crippled once-prodigious artisanal fishing industries, which nations like Senegal have long relied on to nourish their populations. Worse yet, this is happening at a time when climate change is reducing the amount of food grown on land. The consequences include malnutrition across the region — from coastal Senegal all the way to Burkina Faso in Africa’s interior. But its impacts are not limited to this part of the world. Many of those who lack food here are compelled to risk their lives migrating to Europe, a continent where anti-migrant sentiment is on the rise. In May 2017, Liberia was sternly warned by the European Union to tighten its screws against illegal fishing, being the world’s second biggest ship registry in the world with over 100 fishing vessels registered under its flag. According to the EU, the national fisheries authorities do not have the information or means to control fleets under its flag. This lack of control, according to the EU, has been confirmed by the listing of a Liberian vessel on the international “black list” last October. Liberia has taken reform measures including the revision of its fisheries laws, but no tangible progress has followed. The Commission hoped that the pre-identification will raise political awareness and encourage the country to implement the necessary reforms in fisheries governance, the EU noted. In April 2017, former President Ellen Johnson Sirleaf issued 84 Order 84 pertaining to the management of Liberia’s Fishery Resources. Executive Order 84 soon came under criticism by the EU which called the then President to check. Executive Order 84 which among other things reduced Liberia’s Inshore Exclusive Zone (IEZ) as established by the Fisheries Regulations of 2010 from 6 nautical miles to 3 nautical miles. “This is to ensure that industrial and semi-industrial fishing can restart and again become viable. That fishing vessels below 500 gross tons shall be exempt from all APM Terminal and other Port charges; That the cumulative stock of fishery resources to be harvested shall not exceed 100,000 metric tons per annum; and That the Bureau of national Fisheries, under the supervision of the Liberia Maritime Authority, will issue and publish revised guidelines and fiscal regime for obtaining Fishery License,” the Executive Order noted. Section 2.b – reduction of Inshore Exclusive Zone (IEZ) as established by the Fisheries Regulations of 2010 from 6 nautical miles to 3 nautical miles to “ensure that industrial and semi-industrial fishing can restart and again become viable”, and 2.c – “cumulative stock of fishery resources to be harvested shall not exceed 100,000 metric tons per annum”. risks being of little economic value for Liberia. The best way to ensure the viability of industrial and semi-industrial fishing is to strictly adhere to scientifically sound sustainability principles, which include the enforcement of a sufficient IEZ and a system of quotas based on a fish stock assessment. Section 2.b – Exemption of all APM Terminal and other Ports handling charges for fishing vessels below 500 gross tons, and 2.e – revision guidelines and fiscal regime for obtaining Fishery License. We believe that these measures will prove to be a subsidy to foreign vessels and that they will have little or no economic significance for Liberia; We also believe these measures will likely open the door to undesirable operators who will be looking for new fishing opportunities when neighbouring countries take measures to reduce overfishing in their waters or increase licencing fees. Liberia has a longstanding cooperation culminated in the signature in December 2015 of the EULiberia Sustainable Fisheries Partnership Agreement (SFPA), where both Liberia and the European Union undertake to promote responsible fishing in the Liberian fishing zone as provided for in FAO’s Code of Conduct for Responsible Fishing. The SFPA has introduced great improvements in the sector governance, especially with regard to the licensing of foreign vessels, and has been generating significant revenue for the Government of Liberia. On December 14, 2018, the Government of Liberia (GoL) through its Ministry of Finance and Development Planning (MFDP), the National Fisheries and Aquaculture Authority (NaFAA) and the Government of Iceland signed a grant agreement of US$3.1 million. Liberia currently exports over 200 metric tons of fishery products annually. Despite that, the country still records substantial losses because these products cannot access markets in the USA and the EU. This is due to lack of a standardized testing laboratory for fish in Liberia, which is supposed to certify fish harvested within its waters and be accredited to have direct access to those Western markets. To address this problem, the grant will fund the country’s first international standardized laboratory for certification of fish products, and other cold food for exports with the aim of doubling annual export. According to National Fisheries and Aquaculture Authority Director General, Emma Metieh-Glasco, the project is a major achievement that will develop the country’s first standardized laboratory for testing fish and other food products for exports. Other benefits that the sector will experience from the project will be improved capacity training in fishery science and fishery management, sustainable use of the oceans, seas and marine resources for development, which is in line with goal 14 of the United Nations Sustainable Development Goals (SDGs).